IPL is the safe, fast and permanent alternative to waxing. For best results we recommend 6 treatments. What is IPL – (Intense Pulsed Light) Treatment? IPL is a non invasive medical technology that uses light therapy for permanent hair reduction, eliminating age spots, sun spots, freckles and other unsightly discolourations of the skin, superficial capillaries and other benign vascular lesions. It is also particularly effective for a high percentage of people with rosacea. The chromophores include melanin- brown (in pigmented areas) and haemosiderin- red (in blood vessels). Once the photons from the light hit the chromophore it turns to heat energy, destroying these abnormal areas, but leaving the healthy skin unscathed. 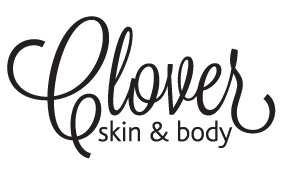 Clover Beauty offers permanent hair reduction. This means that in most cases the majority of hair will not return after a short series of treatment. This course of treatment varies from person to person, but will usually be about 6 – 8 regular sessions possibly about a month to three months apart. The hair that is going to disappear for good will usually stop growing within this initial course, with any residual hair growth being finer, softer, lighter in colour and regrowing at a dramatically slower rate. This residual hair growth can be left alone, or you can have occasional maintenance treatments, which can vary from a few months apart to once a year. The degree of hair loss and the time taken to get results will vary from person to person as there are many factors that can influence hair growth. For maximum results you need to follow the initial course regularly as recommended by your therapist. Clover Beauty offers a treatment to reduce the colour of pigmented lesions caused by sun damage, using Intense Pulsed Light technology. Sun damage typically seen on backs of hands, forearms, decolletage and face will respond well. We recommend you avoid sun exposure and solariums on the treatment area for at least 6 weeks pre and post treatment. At all other times use a 30+ sun block. Clover Beauty offers a treatment which will reduce facial vascular blemishes like the fine thread-like vessels found on cheeks and around the nose. Also general diffuse redness can be significantly reduced. Results will vary, occasionally minimal results may be obtained, but most people will see a significant improvement in the condition. Treatments should be 4 to 6 weeks apart. . You may need to come in to the clinic for periodic assessment between treatments. Clover Beauty offers an anti-aging treatment which will improve skin tone, texture, refine and refresh the skin by increasing the production of collagen in the skin. Fine lines and wrinkles may soften. Also general diffuse redness can be reduced. Results will vary, but most people will see a significant improvement in skin condition, especially if they combine treatment with Vitamin A, C, E and anti-oxidant skin care and supplements. Treatments should be approximately 4 weeks apart. Clover Beauty are able to offer an acne management program for clients. Results will vary, but most people will see a significant improvement in skin condition, especially if they combine treatment with Vitamin A, C, E and anti-oxidant skin care and supplements, along with appropriate acne skin products. As series of regular treatments are needed in an area to obtain optimal results along with peels and other associated treatments as advised by your therapist. Who is suitable for S-IPL? Most people may be treated with S-IPL. People with dark skin types, are more prone to risk of hypo and hyperpigmentation, and therefore may not be suitable candidates. Do Intense Pulsed Light Treatments hurt? You may feel a slight pinch such as that of a snap of a rubber band, but no local anaesthesia or pain medication is required. With pigmentation treatments, again the level of pain reduces with each treatment as the amount of pigment is reduced. Are there any side effects from Intense Pulsed Light treatments? You may experience some short-term effects. This may include slight reddening of the skin or local swelling which goes away within a few hours. Is there any down time or restrictions on activity after S-IPL? You can return to work the same day and resume all regular activities. Treated areas must be kept protected from the sun for six weeks after treatment. How many S-IPL treatments are required? The number of treatments varies from person to person. After your initial consultation your therapist will be able to give an estimated quote for your treatments.